The Lamont transition policy committees held their first meeting in Willimantic yesterday. After public speeches, the committees began their work with a short public meeting and then moved into private meetings. The Health Committee is Co-Chaired by Jennifer Jackson, CEO of the CT Hospital Association, and Gerald Weiner, of Sussman, Duffy, Segaloff and a member of Griffin Hospital’s Board of Directors. Other members represent health care provider organizations, insurance companies, employers, consultants, a foundation, labor, brokers, and a health equity advocacy organization. In the public portion of the meeting, the committee began by reviewing the Lamont campaign health proposals – protecting patients’ rights and finances by defending the ACA, addressing unreasonable fees, and improving patients’ access to their own medical records; lowering drug prices; expanding access and reducing premiums in AccessHealthCT plans; value-based care for Medicaid and the state employee health plan; and investing in public health. After hearing from committee members, the Chairs asked observers for our thoughts. Beyond affirming the campaign priorities, issues raised by members and observers included health equity, CON reforms about market consolidation, behavioral health access, healthcare workforce, cost-effectiveness, protective regulation, affordability for consumers, and data. 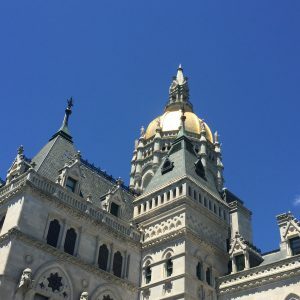 The group acknowledged that a great deal of planning has been done on these issues in Connecticut and the new administration should build on that work. The work of two groups was highlighted – the Healthcare Cabinet and SIM. SIM has been extremely controversial since its inception. Concerns include ethics issues and conflicts of interest that benefit SIM committee members, unresponsive leadership, ignoring independent voices, ideological devotion to payment models that have failed in CT and beyond, and little linkage to the real world of consumers/taxpayers’ lives. SIM has been a substantial part of the erosion of trust in CT’s health policymaking environment. Unlike SIM, appointments to the Healthcare Cabinet, MAPOC and virtually all other state health policymaking bodies, are made by public officials from both parties and agencies, which promotes diversity in perspectives and opinions and leads to better policymaking. Unlike in CT, SIM programs in other states enjoy broad support by engaging everyone and supporting ongoing, successful projects with potential. The federal grant that has funded CT’s SIM project runs out next year.